This romantic gift is sure to captivate. 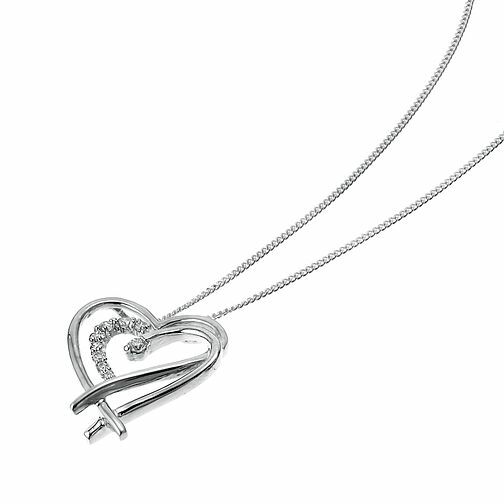 Set with dazzling diamonds, this pretty 9ct white gold double heart pendant is designed with the modern woman in mind. A stylish gift for a stylish woman. 9ct white gold diamond set double heart pendant is rated 5.0 out of 5 by 1.